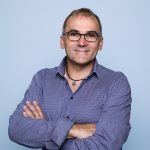 Denis Scuto is the vice director of the Luxembourg Centre for Contemporary and Digital History (C2DH), an interdisciplinary research centre of the University of Luxembourg, and head of the research unit on Contemporary History of Luxembourg. He studied history at the Centre Universitaire de Luxembourg and the Université Libre de Bruxelles and is currently Associate Professor for Contemporary History of Luxembourg at the University of Luxembourg. He worked as history teacher in secondary school in Echternach and Esch-sur-Alzette (1989-2003), as lecturer in history and history didactics at the Institut Supérieur d’Etudes et de Recherches Pédagogiques (1997-2003) and since 2003 as lecturer and researcher at the newly founded University of Luxembourg. He received his PhD in 2009 at the Université Libre de Bruxelles (La nationalité luxembourgeoise, 19e-21e siècles. Histoire d’un alliage européen, Editions de l’Université de Bruxelles, 2012). Since 2008 he is the national expert of Luxembourg for GLOBALCIT.